Take advantage of recreation opportunities such as a seasonal outdoor pool or take in the view from a terrace and a garden. This resort also features complimentary wireless Internet access, babysitting/childcare (surcharge), and a hair salon. With a stay at Cascais Hotel, you'll be centrally located in Cascais, within a 5-minute walk of Cascais Beach and Rainha Beach. This hotel is 4.5 mi (7.3 km) from Guincho Beach and 10.4 mi (16.8 km) from Quinta da Regaleira. In a spectacular location, you will feel the hotel's beauty and tranquillity in any one of the 101 bedrooms, which all have a balcony and stunning views over the sea, the same sea that has inspired the interior design. For your getaway to paradise, Eurostars Cascais 4 * offers you: bright, spacious rooms with views outside; a café-restaurant where guests can enjoy the tastiest culinary options; fully-equipped meeting rooms with the latest technology; and a landscaped pool area where guests can soak up the sun and fantastic weather along the Portuguese Riviera. Make yourself at home in one of the 113 air-conditioned guestrooms. Complimentary wireless Internet access keeps you connected, and cable programming is available for your entertainment. Private bathrooms with bathtubs or showers feature complimentary toiletries and hair dryers. Conveniences include phones and safes, and housekeeping is provided daily. Enjoy recreational amenities such as an outdoor pool and bicycles to rent. Additional amenities at this Edwardian guesthouse include complimentary wireless Internet access, concierge services, and a fireplace in the lobby. Featured amenities include a 24-hour business center, complimentary newspapers in the lobby, and dry cleaning/laundry services. Planning an event in Cascais? This hotel has facilities measuring 328 square feet (30 square meters), including conference space. A roundtrip airport shuttle is provided for a surcharge (available 24 hours), and free valet parking is available onsite. Situated less than 20 miles from Lisbon, the Portuguese fishing village of Cascais is a delightful destination for anyone looking for a relaxing getaway that is nevertheless close to the centre of the action. Offering a diverse range of attractions, including historic sights, jaw-dropping landscapes and leisure activities, this is one of the finest offerings of the Estoril coast. During the 19th and early 20th centuries, Cascais was favoured by many members of the Portuguese royal family, including King Luís I. It's hardly surprising, as despite its proximity to the capital, Cascais is a veriSEOSITE_LEVEL_DESCRIPTION idyll of sun-drenched leisure. One need look no further than the numerous sandy beaches which characterise the coastline for confirmation of this. Further geographical interest is to be found just north of the town at the Boca Do Inferno, a cave which has been severely weathered by centuries of Atlantic tides. In the same area, you can also visit the Cabo Da Roca, which is the most westerly point in Europe and boasts dramatic cliffside views. In the village itself, evidence of the royal influence can be seen in the villas and mansions that were built by the wealthy families who followed in their wake. Those interested in the local history and fishing heritage of the settlement can educate themselves by visiting the Castro Guimaraes museum, which contains fascinating artefacts including a 16th-century manuscript. It is also an interesting piece of early 20th-century architecture in itself. Also worth a look-in during your stay is the Casa de Santa Maria, just opposite the museum. This house was constructed in 1902 by an Irish tobacco tycoon and was, at the time, the most lavish residence in the village. These days, it is open to the public and there is no entrance fee. Cascais's position on the coast naturally means that it is an ideal location for a variety of watersports. Paddle boarding, kite surfing and kayaking are just some of the activities you can try during your time here. Golf, however, is the main reason many people visit. With ten courses in the local area, Cascais is the ideal base for a serene golfing getaway. 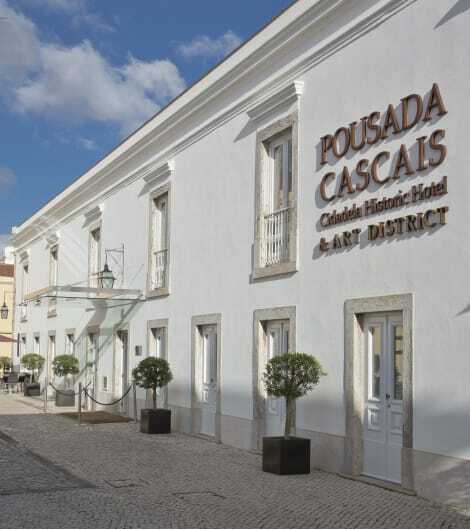 With a selection of Cascais hotels to choose from, you certainly won't be stuck for a place to lay your head. The Grande Real Villa Hotel, for instance, provides a welcoming environment and seaside views from its plush rooms. In keeping with its fishing legacy, the food in Cascais is nothing short of outstanding. In particular, the Cafe Galeria House of Wonders is the perfect place to stop for a spot of lunch, offering a delightful selection of carefully-prepared dishes, as well as a rooftop terrace.